Category: Doble Din Head Unit. 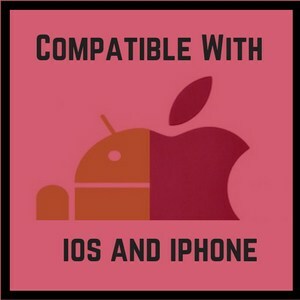 Can sync with Google Maps or Apple Maps from your phone. When it comes to installing new equipment into your vehicle, nothing is quite like a brand new stereo. If you love listening to music, then it can be magical to have something that pumps up your jams so that you can feel the vibrations of the melody and let it pulse through you as you drive. 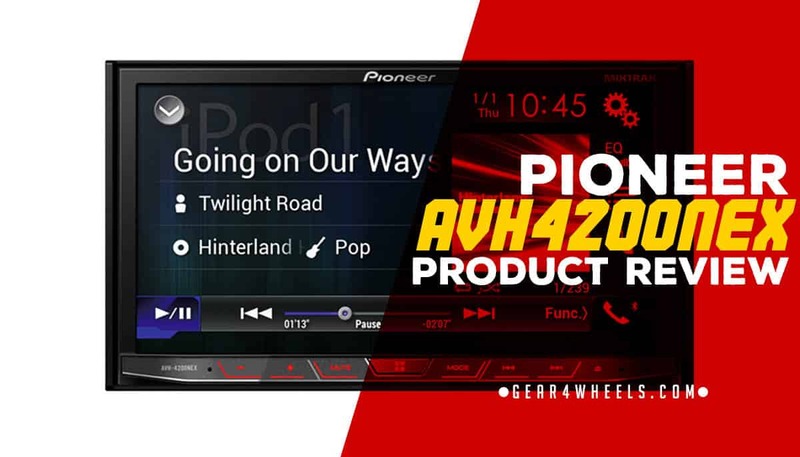 While most stereo systems are relatively simplistic, if you get a double DIN head unit like the Pioneer AVH4200NEX, then you can do so much more than just change the station or plug in your music player. Don’t believe us? Well, let’s take a look and see what this stereo can do for your car. In fact, this is one of the most high-tech systems out there, which is why it is one of the best. The best reason to get a double DIN head unit is that you have room for things like a high-tech touchscreen. Instead of fiddling with knobs and dials you can instead operate your sound system like you’re in the USS Enterprise. This is one of the largest screens you can find, making it easier to navigate and find what you’re looking for. 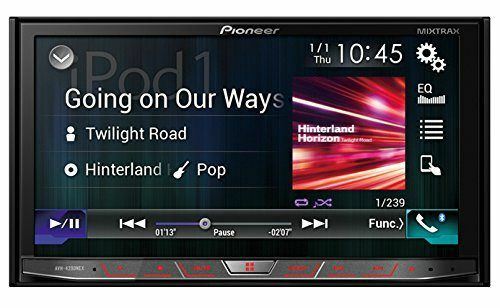 Whether it’s switching radio stations or connecting your smartphone, this touchscreen is fully loaded. Best of all, to help prevent theft, it is detachable as well so that would-be burglars won’t be tempted to break into your car. These days, it seems like everything has Bluetooth, whether it’s a speaker in your house or even your TV. This speaker is no different, allowing you to hook up your iPhone or Android device wirelessly and effortlessly. In fact, because this has multiple channels, you can sync one of each phone to the system and switch back and forth. This way you and your co-pilot can be connected at the same time and utilize the sound system for your own needs. ​While listening to music or phone calls is fantastic, having a large screen like this is just begging for it to be used to watch videos or movies. Thankfully, you can connect your smartphone or device to the system and watch on the bigger screen while getting crystal clear audio coming out of your speakers. Best of all, you can even hook headphones up to the system so that your second-in-command can watch clips without distracting you the driver. Alternatively, you can create your own drive-in movie experience by hooking up a video through your device and watching it together. Whether you own an iPod, iPad, or iPhone, each one of them is compatible with this speaker system. Best of all, you can even connect Siri to the speakers so that you can activate and hear her in high-fidelity. In fact, with some models, you can even activate Siri eyes free, which means that you can navigate with voice commands to make your drive even safer. It’s like having a personal assistant like in movies, only better (because you don’t have to pay her extra). Also, syncing with multiple Apple devices means that you can access any of the data on your tablet or smartphone, including video files or anything else that you want to hear or watch on the big screen. While connecting with high-tech devices is an excellent way to showcase how well this speaker system has adapted to the 21st century, there is still plenty to be said about listening to the radio as you drive. Fortunately, this unit can hook up to any station in the world, whether it’s SiriusXM satellite radio, HD radio, or an app like Spotify or Radio One. Simply put, if there is a method of listening to any radio station out there, this system can find it and pump the music through in stunning fidelity and clarity. If you’re a true audiophile, then you know how important it is to add speakers to your ride to help accentuate all parts of the music. Subwoofers and tweeters can help the songs come alive, which is why it’s so excellent that this system has four channels. This way you can connect to four different speakers to get a broader range of sound and enable you to create a transcendent experience. If you are at all interested in stepping up your amplifying game, you will need something like this to manage it all. These days, most of us can’t even find our way down the street without having to ask Siri or Google how to get there. While this device doesn’t have maps and GPS installed, you can simply hook up your phone and get turn by turn directions as well as a view of the road ahead. As long as you have an active cell signal, you will never get lost, and the larger screen ensures that you don’t miss your next turn or onramp. Once you’ve seen everything that this stereo can do you will wonder how you lived your whole life without it. Whether it’s syncing your smartphone or accessing thousands of radio stations, this device can help you do it all while making it sleek and futuristic at the same time. By utilizing a touch screen, you can access things much easier, meaning that you don’t have to try to figure out things like changing the clock, opening up Bluetooth, or answering a call. A huge screen means that everything is so much more convenient. Overall, this is a fabulous machine that will turn your car into the high-tech gadget you deserve. Does this model have internal navigation software? No, it only syncs with your smartphone to use GPS navigation. It does not come with a proprietary GPS system. Can I listen to two phones at once? Does it come with its own mounting bracket? No, it does not. You will have to find one and buy it separately. This is true of most car stereos, by the way. If I’m watching a video on my phone and I get out of the car, will it resume once I come back in? While certain variables can affect this feature, it should continue where you left off, provided that you have not reset the connection or adjusted your place in the video. Does it support two iPhones or Androids at once? No, USB 1 is for Apple devices, while USB 2 is for Android ones. Thus you cannot have two of the same brand hooked up at the same time.